Ms. Sherry Shaw-Froggatt has been named the recipient of the 2014 Airdrie Business Leader Award presented by the Airdrie Chamber of Commerce. “The nomination we received stated they could not think of a more deserving person to win this award than Sherry and the selection committee agreed. We believe Sherry is one of those people that helped raise the bar very high for community involvement in Airdrie” says Lorna Hunt, member of the selection committee. Sherry’s passion for the Airdrie business community was evident 11 years ago when she launched her airdrielife magazine and recently Eat Play Stay Airdrie.. She has always stated that she has the privilege of showcasing “the good life in Airdrie”. 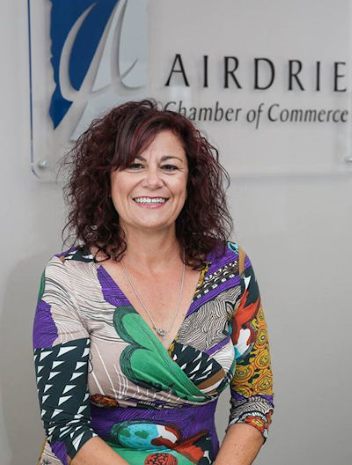 As a founding member and Vice Chair of the Creative Airdrie Society, Sherry states the success of Creative Airdrie is a direct result of the business connections she has been fortunate to nurture over the years. She has seen her vision of the society becoming a hub for investment, promotion, engagement, development and education of the arts in the community.